Brushing your teeth seems like second nature since you've been doing it pretty much all your life, right? It's common knowledge that you need to brush every day, twice a day. Everything about tooth care seems pretty straightforward, but there is always more you can learn about keeping your pearly whites in tip-top condition. I bet by now you're curious about whether you've been making some serious toothbrushing mistakes all these years. Well, I'm here to tell you how to brush your teeth, according to science. If you've been brushing your teeth in a horizontal sawing motion your whole life, it looks like you've been doing it all wrong. 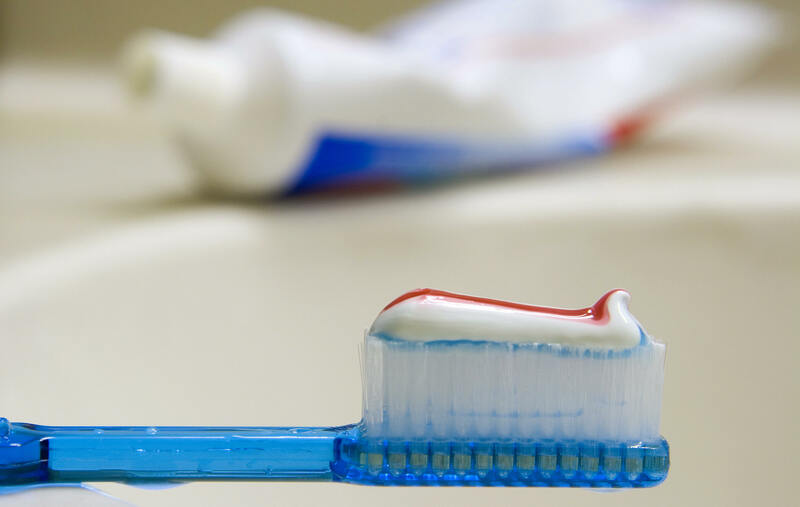 It turns out brushing as fast and as hard as you can is only causing more damage to your teeth. No, I'm not kidding. On Ask The Dentist, Dr. Mark Burhenne DDS writes that you are brushing away tooth enamel when you use this technique — i.e. causing some serious damage. According to Burhenne, this sawing motion can even age your teeth prematurely. So now that you know how not to brush your teeth, what's the right way? From circular motions to focusing on the gums, it might be a little hard to know which method is best. According to Burhenne, instead of taking long strokes with the toothbrush, you should just set your toothbrush over your teeth and wiggle it so it gets in between the gaps, repeating this method for each set of teeth in your mouth. Aubrey Sheilam, professor of dental health at University College, however, recommends brushing horizontally to get at plaque, according to Mirror. The American Dental Association agrees, stating that short, tooth-wide strokes at a 45 degree angle are the best approach to brushing. If you're not sure how to do this method, take a look at the video below for some pointers. Not only is the sawing method causing damage to your teeth, but, according to Burhenne, its not even doing a good job of cleaning them. Because you're taking such long strokes, you're actually missing the spaces between your teeth where plaque and food debris can hide. Those spaces that you're missing need to be kept clean in order to prevent gum disease and cavities. Just another reason to give this toothbrushing approach a try!